I love giving personalized gifts. To me, it’s less about how much you spend on a gift and more about the thought behind it. 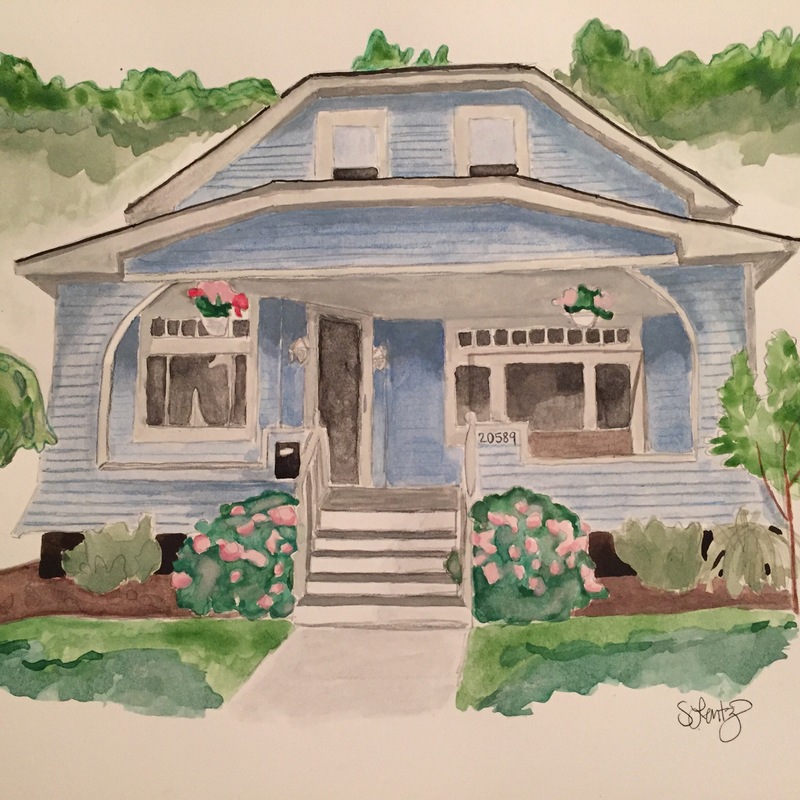 And, since our babysitter is moving from their first home into their forever home this week, I decided to make a watercolor of her house for her to remember always. 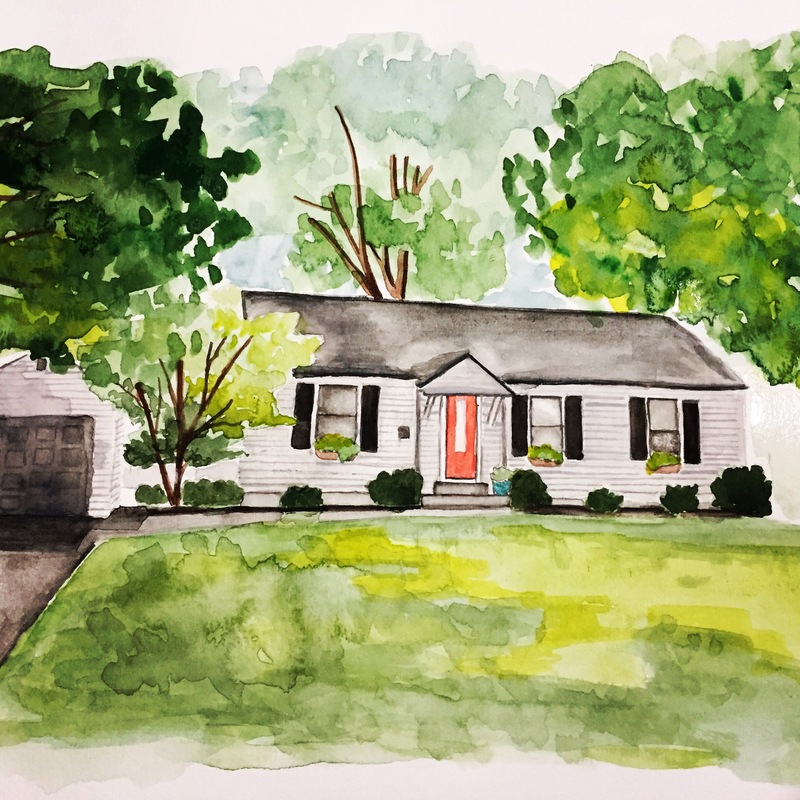 It was my first attempt at a house, but I’d say it turned out pretty well. More importantly fly, she loved it (even teared up a bit)…score! I’m working on another one now for a college friend that’s moving. Hope it turns out just as nice. Update: Have done a few more since this post first published. 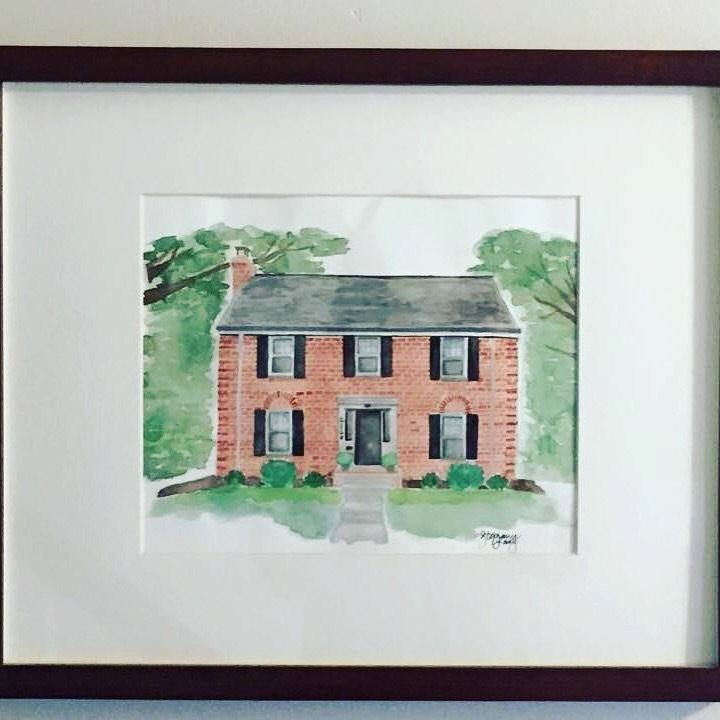 Contact me if you are interested in a custom house portrait.